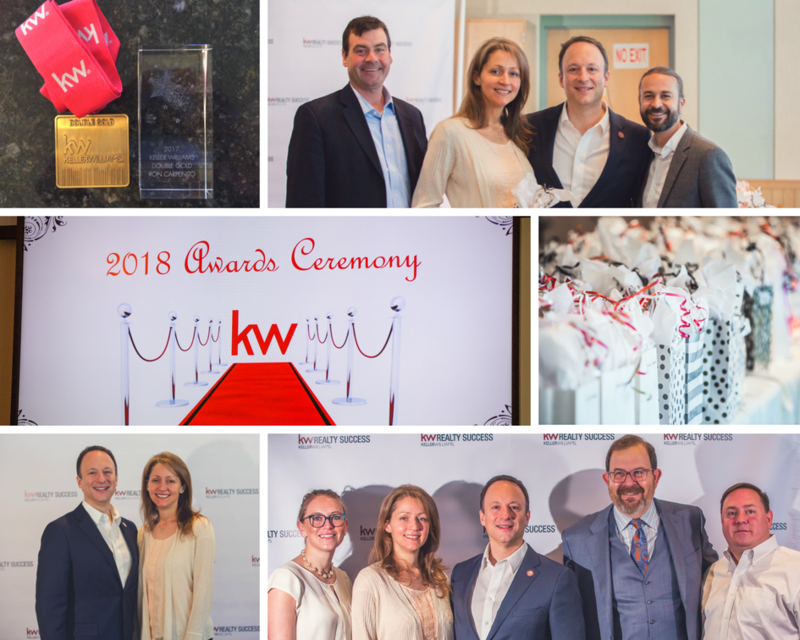 Ron Carpenito of the Prime Property Team at Keller Williams Realty, a top real estate team for over 30 years at Keller Williams Realty Andover, has been awarded Volume Top Producer by Keller Williams Realty National. Bottom left to right: Courtney Burghard-RMS Mortgage Loan Officer Assistant, Deb Carpenito, Ron Carpenito, Attorney Mitchell Weisman-Kajko, Weisman & Colasanti, LLP, Jason Linscott-RMS Mortgage Loan Officer. Ron Carpenito, has been recognized as a top producer in Andover, MA and surrounding areas. The Annual Breakfast Awards Ceremony was held held at the Four Winds Restaurant in Andover and at the upcoming Northeast Association of Realtors Annual Recognition Gala at the Andover Country Club in May. The awards are based on the number of transactions closed and the level of dollar volume sold. In 2017, Ron and the Prime Property Team sold 31 units and over $10 million in sales volume. The team’s 5 star reviews continue to reflect their commitment to excellence to their clients. “As NJ residents looking for a realtor to help us purchase a second home in the Merrimack Valley, we contracted with Ron, and he and his team did not disappoint. In a very competitive environment, we managed to find the right place, and Ron’s local knowledge, negotiating skills and process understanding was a huge part of making us the successful bidder. Ron’s commitment to ongoing education further enhances his standing with training and designations including: CNE – Certified Negotiation Expertise, PSA – Pricing Strategy Advisor, and BOLD Graduate. *Top ALC Member Award – The ALC acts as the Market Center’s “Board of Directors”. They are the guardians of the culture. A covenant agreement of ALC responsibilities is entered into by all ALC members with their Market Center peers. One of the greatest aspects of the Keller Williams Realty model is the Agent Leadership Council. *Best Partner Award, Keller Williams Realty, Andover. Given to the partner who demonstrates a high level of knowledge, expertise and willingness to share, teach and mentor others.